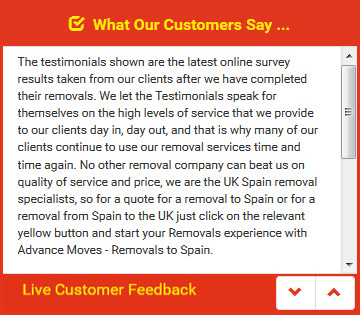 Removals Spain To UK - What About The Pets? Moving from Spain to UK, or from UK to Spain, is all about being organised and accounting for every member of the family: that includes any pets that you want to take with you. Unfortunately, removal companies will not be able to take your pet along with the rest of your home � this includes dogs, cats, rabbits and caged birds. They are permitted to carry fish tanks, but only empty ones. This means you�ll have to find an alternative way to transport your pets. Most pets can be taken on planes and flown in the cargo hold: however, there is a lot of paperwork and documentation that needs doing before you just turn up at the airport! Spain operated under a European Pet Travel Scheme (PETS) which means quarantining of the pet isn�t necessary; as long as your pet has a valid microchip, and vaccinations up to date (along with proof), the process will be a lot quicker. They will need a pet passport, issued by the vet when vaccinated, and an EU vet health certificate. They will also need to be insured. Advance Moves can take almost everything you own, and have recommendations for firms to help transport your pets.